Love. Love. Love. These pearls are AMAZING. I fell in love with first sight at my local pearl supplier. The style is Baroque Flameball. Such a lovely nacre. These are absolutely beautiful extra large baroque natural nucleated "flameball" pearls. "Baroque" style indicates a naturally formed pearl with character in each swirl. Flameball pearls have been cultured in freshwater mussels. Each mussel is "nucleated"with a bit of shell and allowed to mature over the following two years as the pearl develops. A natural characteristic is a rounder bottom half and wing-like sides. 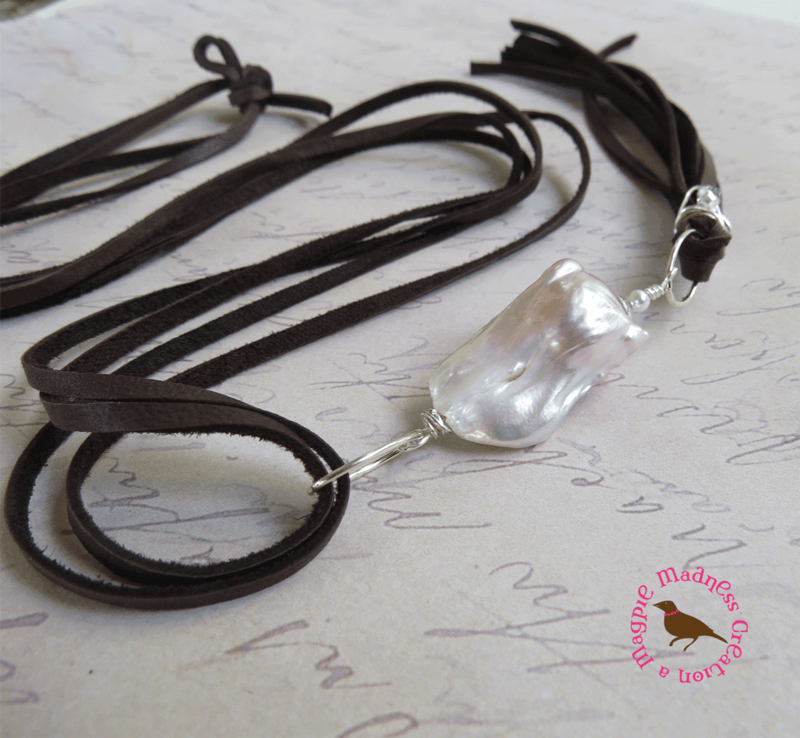 I wired the pearl in sterling silver filled wire to oval sterling silver rings then suspended from 32 inches of a double layer of baby soft deerskin leather which ties at the neck (you could always loosen and adjust). 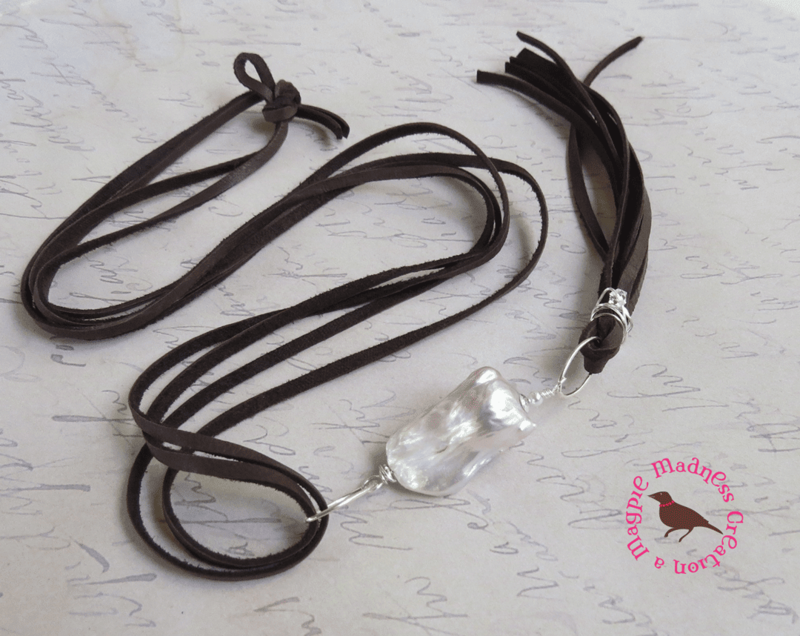 From the pearl I wire wrapped in more silver a five inch tassel in the same soft deerskin leather. Did you notice that I worked in a few Swarovski crystals to the wire for a subtle bit of bling? 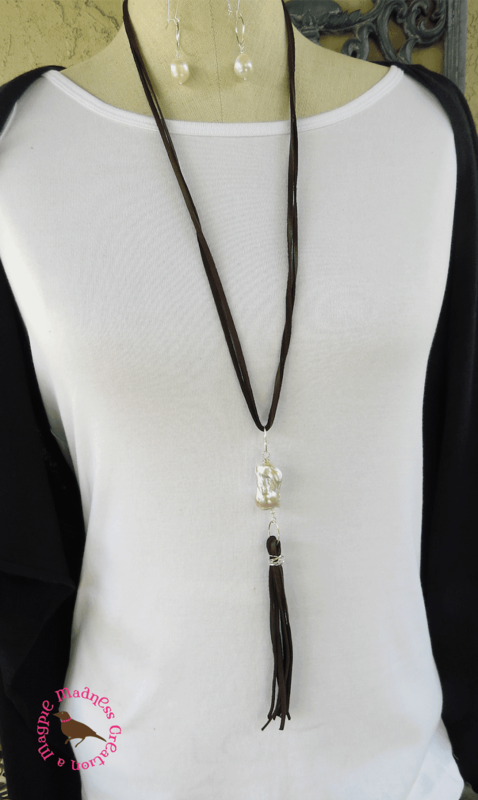 I created this necklace for myself first and wore it for several days as a market research:) And oh, yes, did it get noticed. See here. For a full ensemble check out these earrings, here. To die for. 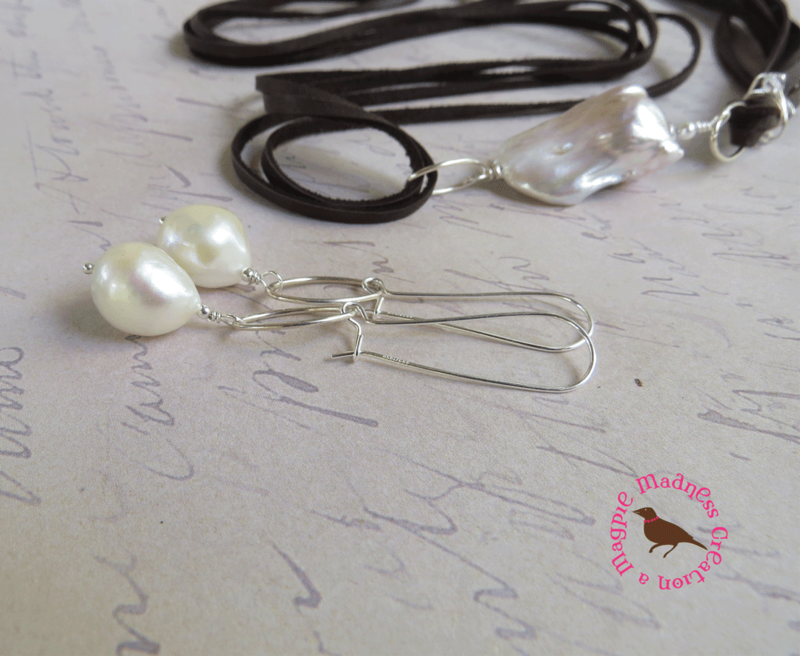 More baroque pearls wired in sterling pins and hung from sterling silver earwires. I like mine long so wore them with kidney wires. All Magpies are made by me in my home studio. All metals used are nickle and lead free. 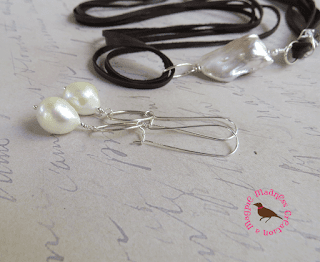 Pearls measure 30mm by 17mm in diameter. They are a natural pink/white nuceated baroque flameball. Wire is sterling silver. Leather is deerskin.